Local Knowledge are Abie & Warrick "Wok" Wright and Joel Wenitong-Rios and was formed in 2001. They disbanded in 2006. After the breakup Joel, his sister Naomi from Shakaya and DJ Jay Tee formed The Last Kinection while Abie and Wok have formed Street Warriors. 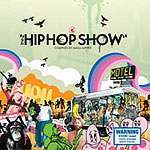 Local Knowledge's track "Murri Flow" is on CD 2 of this sampler (track 20).